← Gaelic Storm: What to know before you go! 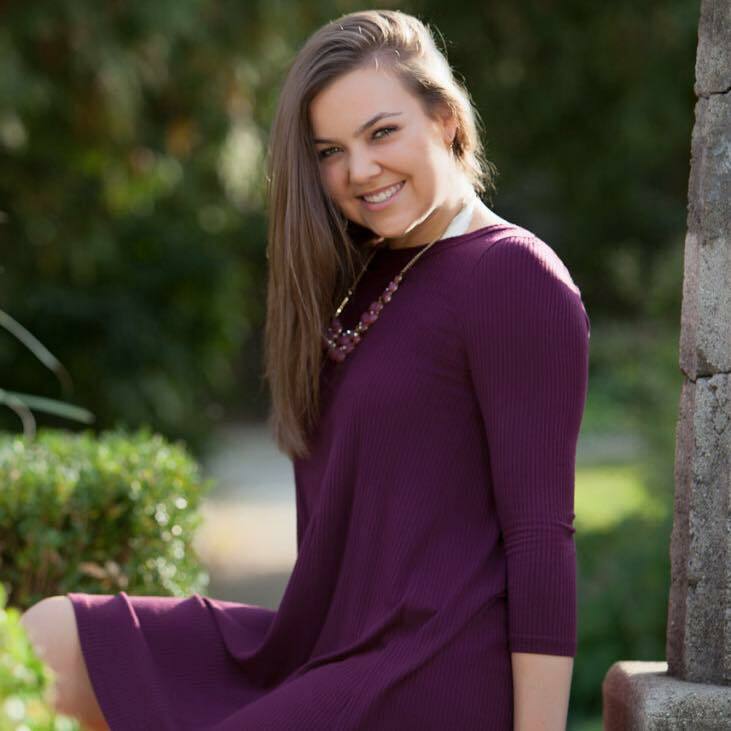 Lindsey is a dancer for the Beth Fowler Dance Company, and you can spot her at the Egyptian this weekend in “A Storybook Ballet.” Lindsey is a senior at Saint Charles East High School and this is her fifth (and last) year with the Beth Fowler Dance Company. If you can make it to one of the shows this weekend, then definitely do so! SYDNEY: How old were you when you first started dancing? How many years have you been a dancer? SYDNEY: What is your favorite style of dance and why? LINDSEY: My favorite style of dance is probably Hip Hop. As much as I love to be a “beautiful ballerina” and I will always have a special place in my heart for ballet, Hip Hop is just so fun, with the upbeat music and the high energy moves. SYDNEY: What are some of your favorite memories as a dancer for the Beth Fowler Dance Company? LINDSEY: Honestly, some of my favorite memories in the Beth Fowler Dance Company have happened during our all-day rehearsals on Sundays & during long hours of rehearsals on tech week. Everyone’s feet hurt and everyone is definitely tired, but at the same time everyone is in it together and all of the dancers and teachers in the company are so supportive of each other, so even though it may be difficult to find the energy to complete the day, it is definitely not hard to find the camaraderie at our studio! SYDNEY: What role do you have in the upcoming show Storybook Ballet? LINDSEY: In our upcoming production of “A Storybook Ballet,” I am Ursula in The Little Mermaid, a gypsie in Aladdin, and Belle in Beauty and the Beast. I am so grateful to have all of these amazing parts and can’t wait to perform them on stage! SYDNEY: What do you like most about interacting with the audience? LINDSEY: What I like most about interacting with the audience is just making them feel something. Whether it’s sad, happy, excited, or angry, my hope is to always keep the audience engaged because when I feel the audience’s energy, it gives me a thrill that I honestly can’t explain. SYDNEY: What are you looking forward to most about performing at the Egyptian Theatre? LINDSEY: What I’m looking forward to most about performing at the Egyptian Theatre is the tradition of the whole experience. I’ve been performing at the Egyptian Theatre with Beth Fowler School of Dance for 7 years now and before every performance I look forward to coming “home” to a beautiful theatre with some of my closest friends; getting ready together in the dressing rooms, stretching as a studio on the stage before a performance, walking up the stairs together & shaking our nerves off backstage right before our first entrance. It’s so much fun, and definitely something I will miss doing next year. Click here to get your tickets for A Storybook Ballet!